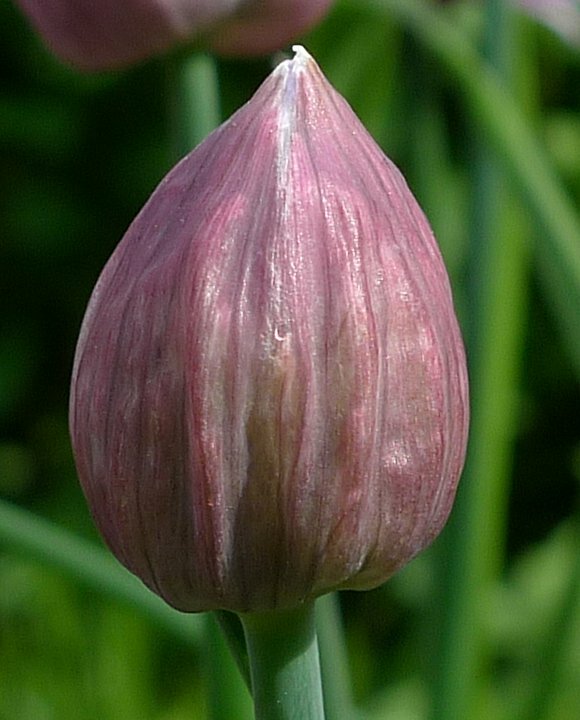 Like many members of the Onion Family, before opening the flowers are all enveloped by two papery bracts, mauve coloured in this case. The paper-thin pinkish bracts enveloping the un-developed flowers. The single stems are glaucous green. Always grows as a clump, never singly. 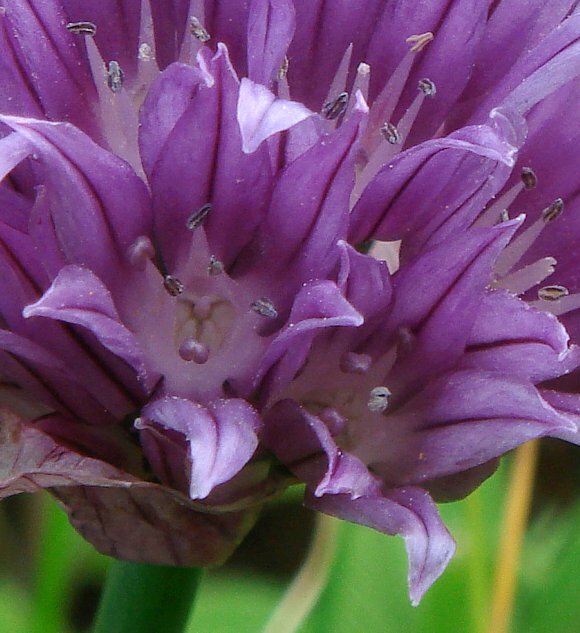 Hence is known in the plural as chives, and never 'chive'. A nearly globular of many flowers atop a single round hollow stalk. The individual flowers are tubular with five petals at the end. The petals are pointed and lilac coloured, each with a darker purple stripe down the centre. There are two papery bracts at the base of the flower head. Each individual flower is on a short stalk. Deep inside the narrow throat of the flower are five white stamens. 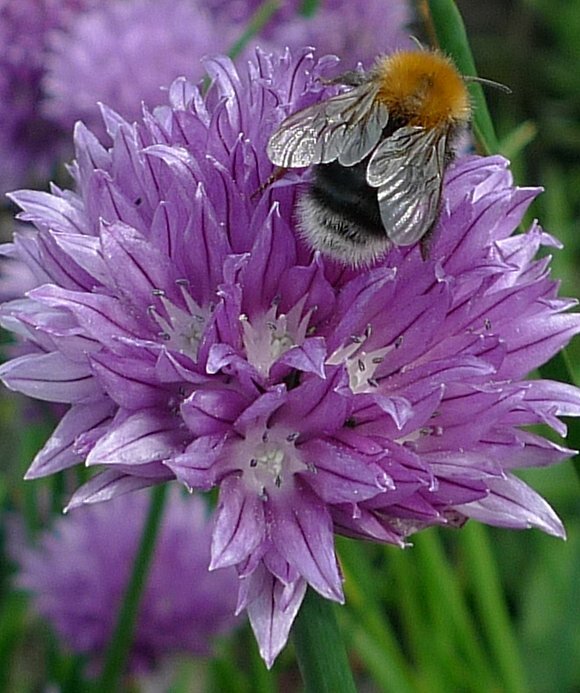 The flowers are popular with bees. The five stamens have indigo-coloured anthers atop. 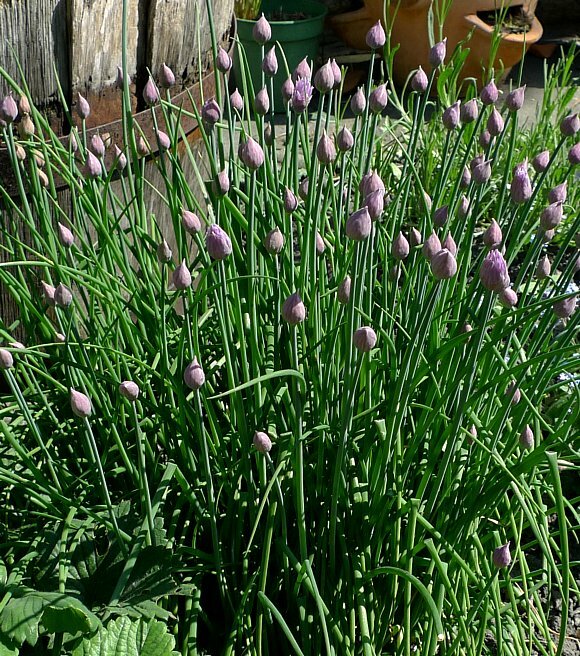 Some similarities to : Garden Leek, but Chives grows in clumps whereas Garden Leek grows singly. 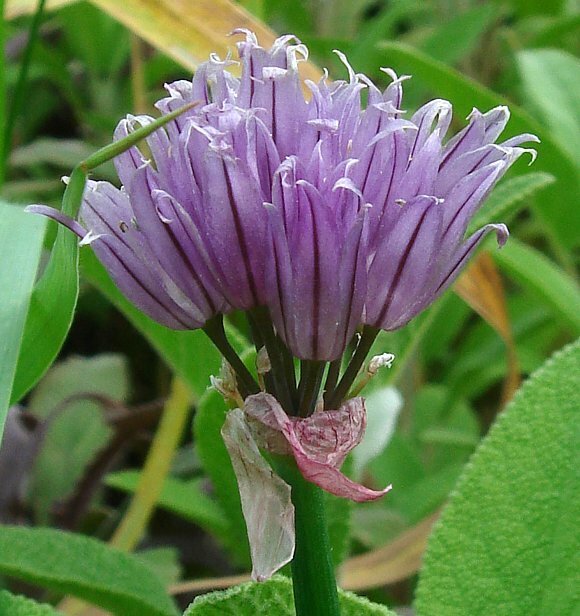 The Scientific Name should not to be semantically confused with : Sand Leek (Allium scorodoprasum) which is remarkably similar to that of Chives (Allium schoenoprasum) Uniquely identifiable characteristics, The glaucous green round hollow stems with a large number of lilac to mauve-coloured horn-shaped clusters of flowers with five triangular points. Distinguishing Feature : The darker purple stripe on each petal. The two papery bracts beneath the almost spherical, (but not quite: some of the lower part is missing) flower head. Grown as a herb in cottage gardens. 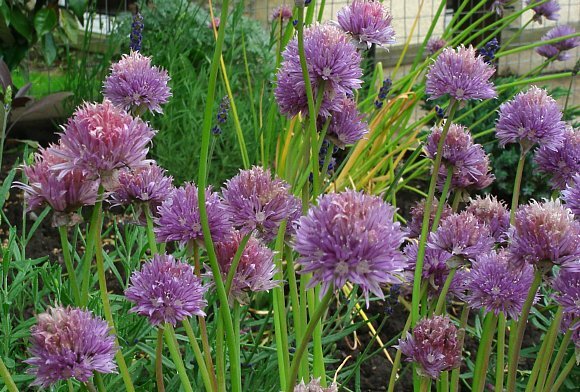 The round hollow stems have a mild onion-like taste especially good when the flowers are prevented from growing (by nipping the buds off). Much more likely to be found in a garden than growing wild. The round stems are hollow, but surprisingly, are not filled with anything, not even a liquid, unlike those of Dandelion. 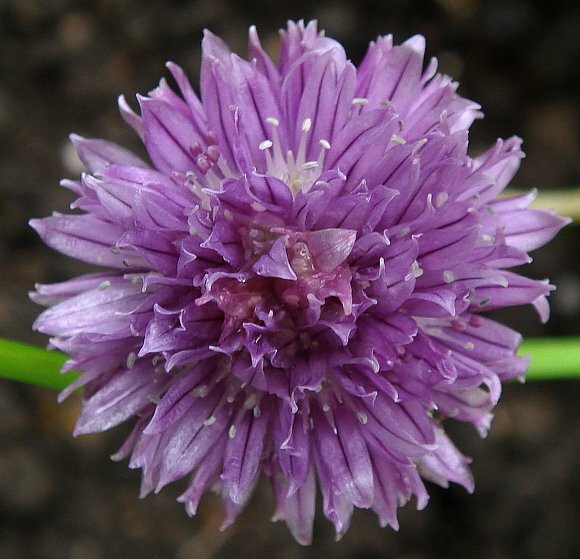 Chives contain up to 8% Vitamin K, 3% Vitamin A and a number of organo-sulfur compounds and their allyl derivatives, which have some beneficial effects to health. 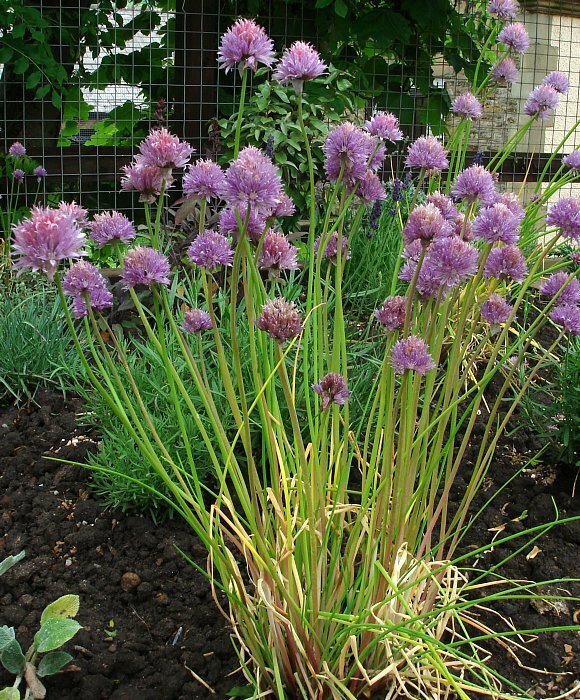 Chives sequester selenium from the soil at a concentration 10 times higher than do onions. The selenium can substitute for atoms of sulfur in the sulfur-containing amino acids Cysteine and methionine to which it is related. 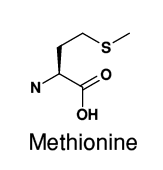 Methionine is one of only two amino acids containing any atoms of sulfur. It is essential, and used in the production of lecithin in plants as well as the growth hormone ethylene. 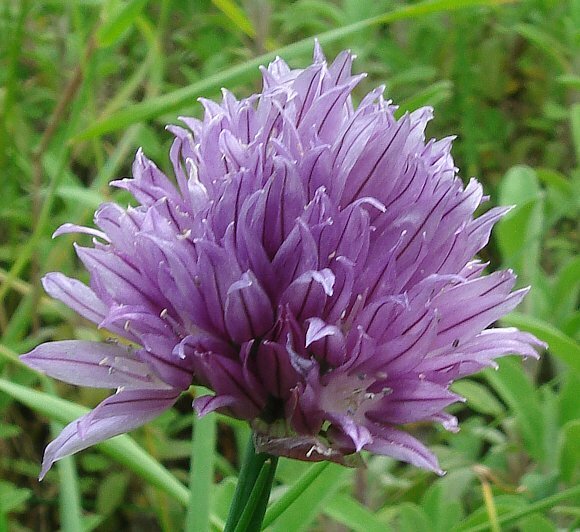 Chives also has the ability to tolerate normally toxic amounts of cadmium in the soil, in fact it not only tolerates it but hyperaccumulates cadmium. It is thus a valuable Metallophyte for the Phytoremediation of contaminated land, able to mop up cadmium, a heavy metal poison, from the soil. Note that to remove the metal entirely, the plant then has to be harvested and disposed of safely elsewhere. The whole cycle has to be repeated over several seasons to bring heavy metal contamination down to safe levels.